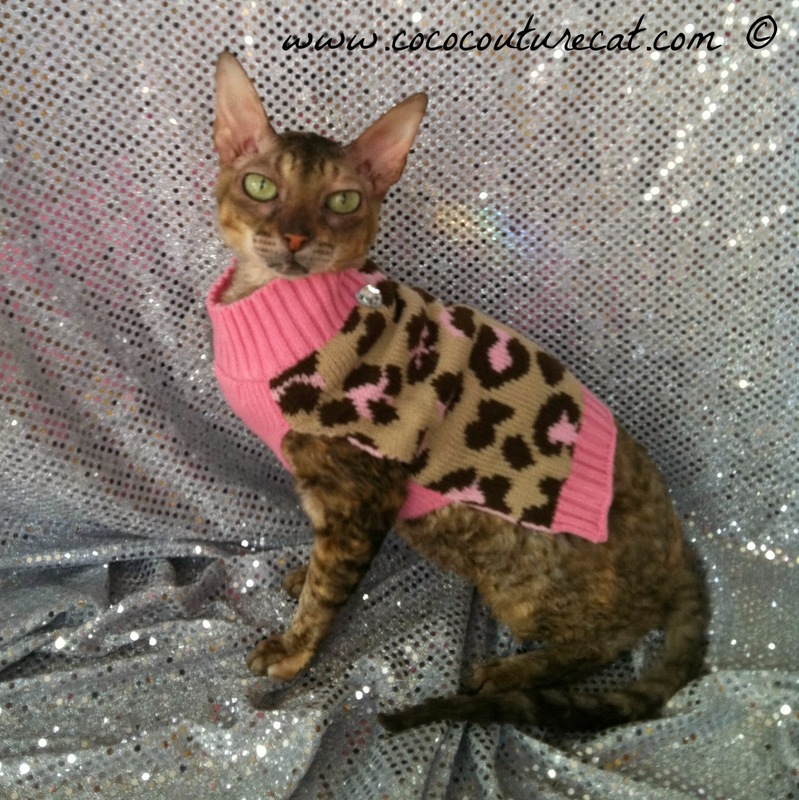 As Sparkle told us, some parts of the USA are still experiencing summer time weather and kitties are wearing beach wear, with temps up into the 90's. 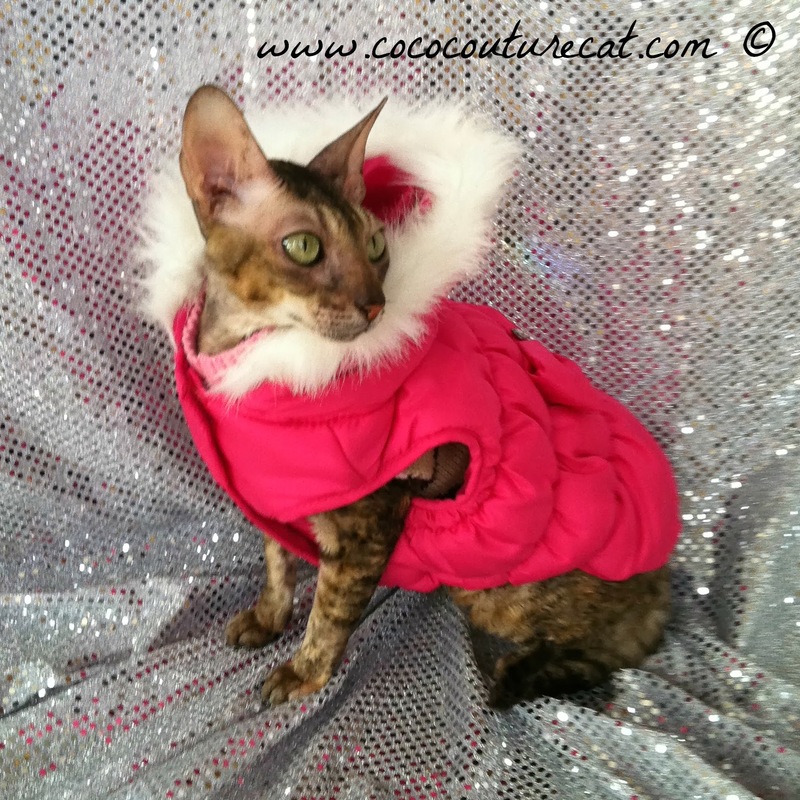 But here in the DC Metro area, it's time to pull out the winter wardrobe, and with that in mind, when I was out shopping at Home Goods, I came across two Pink items that I thought Coco would enjoy. A pink puffy coat with a rhinestone heart button and a 'fur lined' hood that snaps down so it's not in the way. 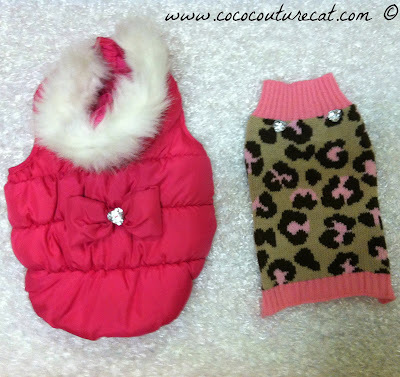 And a cute pink leopard print sweater, that together with the coat makes a lovely ensemble, don't you think? Coco, you look positively beautiful! 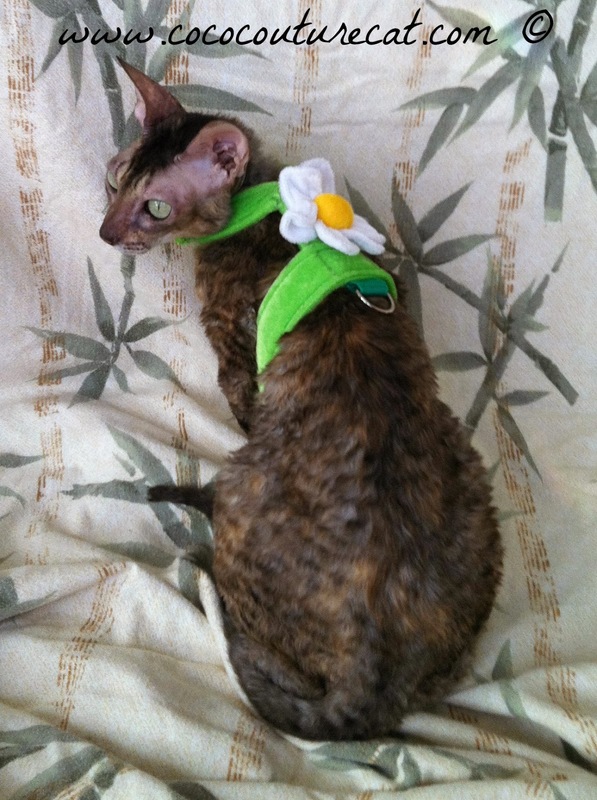 We really love that first harness you're wearing. If you have a chance, can you tell us where it's from? They look very stylish, Coco! We had to smile as our Mum has the same jacket as Coco in the same colour but without the hood! !